Perched atop the Tibetan Plateau – nearly 15,000 feet above sea level – researchers have discovered evidence of the earliest known, highest-altitude human occupation. 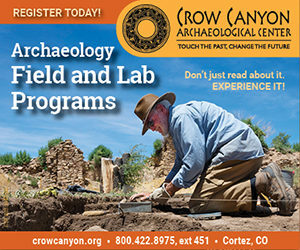 According to their new study, the site Newa Devu, which was occupied at least 30,000 years ago, is the highest Paleolithic archaeological site yet identified and provides new insight into high-altitude (>4,000 meters above sea level) adaptation, as well as to modern human’s colonization of Earth’s highest reaches. Because of the unforgiving environments and the demanding biological adaptations required to survive them, early human occupation of high-altitude regions, like the Tibetan Plateau – one of the highest ever occupied – has been of great interest. Due to the lack of concrete evidence indicating the antiquity of the region’s earliest residents, however, the timing and processes that brought people to inhabit the “roof of the world” are not well-understood. As a result, some conclude that occupation occurred recently, near the onset of the Holocene, about 11,000 years ago. Xiaoling Zhang and colleagues report on new data from a well-preserved Paleolithic site situated at 4,600 meters above sea level with occupation beginning 30,000 to 40,000 years ago. 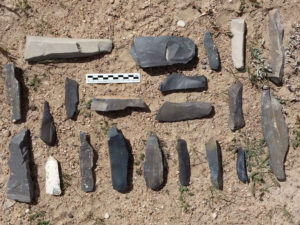 According to Zhang et al., Newa Devu is characterized by a wide range of stone artifacts including advanced lithic blades that together suggest that the site was used as a workshop where tools were manufactured. 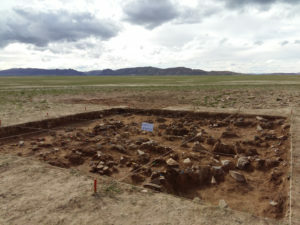 Scant sites with similar stone technologies are found in North China, which according to the authors, suggest that early Tibetans interacted with contemporaries from Siberia and Mongolia. Furthermore, the results support the idea that hypoxia-reducing genes, obtained by infusion of Denisovan DNA, enhanced early settler’s ability to adapt to high-altitude extreme environments. If you liked this article, you may like On the Roof of the World: Discovering the Forgotten Civilization of Zhang Zhung, a premium article (now free) published previously by Popular Archaeology. Article Source: AAAS news release. This research appears in the 30 November 2018 issue of Science. Science is published by AAAS, the nonprofit science society.